Bracelets are articles of jewelery worn at the wrist. Since ancient civilization, bracelets have had an important place in the wardrobe of men and women alike. Bracelets worn by people in the Egyptian civilization as far back as 5000 BC have been discovered by archaeologists. 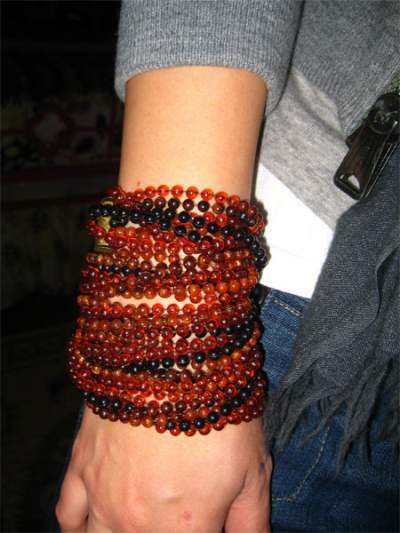 Bracelets were initially made with natural items such as wood, leather, twigs etc. However, as mankind made progress with finding new metals and methods of casting them, bracelets in precious and semi precious metals using semi precious and precious stones, carving intricate designs etc. became popular. Traditionally bracelets were worn as charm bracelets, to ward off evil spirits and bring in prosperity. Over time, the bracelets became symbols of wealth and riches. In India, since centuries bracelets in the form of bangles have been worn by married women as a sign of their marital status. Bracelets could be worn for various occasions and you have immense variety to choose from for each occasion. 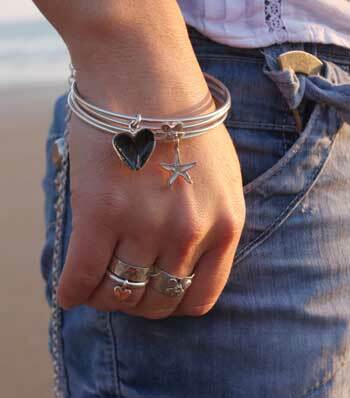 Bracelets come in different fits – snug fit, regular fit and loose fit. To arrive at the correct bracelet size, measure the circumference of your wrist. Add 1/2 inch to arrive at a snug/tight fit, ¾ inches to arrive at a regular fit and 1 inch or more for a loose fit. Certain styles of the bracelets look good in snug and regular fit, while there are certain styles which look good only when they are loose fit. Normally snug and regular fit bracelets have a hook and eye closure or a clasp. Sometimes the snug fit bracelets may also be elasticated. The loose fit bracelets are normally the slip on variety. You could team some really funky jewelery with your casual apparel if you are going to have a fun outing with your friends. If you are a jeans and tee shirt kind of girl, you could choose from the options mentioned below and instantly add drama to your attire. For conservative dressers, who prefer to wear dresses, bracelets from the below options work equally well. Most of the bracelets which are worn on casual outings are stylish, chic and made with materials which are ‘in’. You could experiment with brass, copper or gold and silver plated clasp bracelets which are really wide (about 2inches and more). These could come in funky shapes, the most common being the flat, rectangular, square and the convex shapes. These should fit snugly at your wrist and hence, normally have a slight gap between the two edges and can be slipped into your wrist and adjusted to your wrist width. These bracelets often have self designs or artistic impressions on them. Thin, closely placed metallic translucent wires, running parallel to each other in a myriad of colors are also considered very trend. These instantly up the glam quotient of your attire. 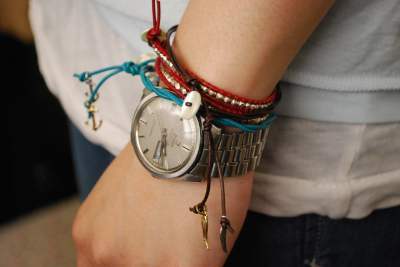 Charm bracelets are considered a must in every young woman’s wardrobe. You could choose from a variety of themes either to advocate a cause, mark a special occasion or literally, wear your attitude on your sleeve. Do read more about charm jeweleries in a separate article on this site. Multi color or single color beads interlinked together in the form of a bracelet, either in a single row or arranged in neat multiple rows also look great. The size of the beads could be as small as a rice grain or could be chunky and could be in more innovative shapes than just round. A bracelet made with glass beads looks more elegant, as glass is iridescent and creates magical patterns when light falls upon it. Bracelets made with plastic beads also look nice, however, do take pains to avoid plastic bracelets which are available at every nook and corner and available dime to a dozen. Beads could also be wooden, in the original color or painted to arrive at any color. Snug fitting beaded bracelets are the high point in the fashion world today. Picture a cowboy outfit, leather bracelets look super cool when teamed with skinny jeans and boots. An eternal favorite, a variety of leather bracelets in a variety of colors are available in the market and almost all of them have their own fan following. Most common examples are flat leather bands, either plain or with metallic studs or self color embroidery or embroidery with multi color threads. These are normally fitted to the exact wrist measurement and use a metallic snap button as a fastener. Leather bracelets could also be braided. To add more drama to a plain braided leather bracelet, sometimes a colorful or metallic bead could also be slipped in. 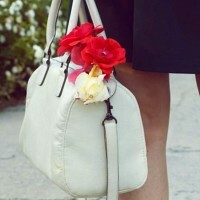 Thin leather bands in different colors could also be slipped in to add some spice to your casual outfit. 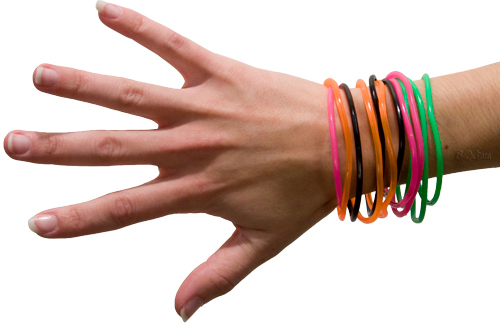 Sports bracelets or jelly bracelets are made in silicon rubber were made immensely popular by the sportswear brand Nike. These normally have a message or the trade names engraved in them. These are also being increasingly used by people to create awareness about an issue they feel strongly about or show their support for a cause. These are also very popular to be gifted as friendship bands. These are very popular in really loud colors. Bangles are loose fitting usually circular bands coming in a variety of widths, starting from being as thin as 1/8th inch and going to be as wide as an inch. They come in myriad hues and materials. You could find bangles in glass( matt or shiny finish) or wood, metal, plastic and even bone. Bangles could be plain solid color or with colorful design engraved /painted on them. These look very cool with all sorts of apparel. Some tips for choosing bracelets for different formal occasions. It always pays to buy bracelets which are classy and will stand the test of time. Such classic pieces of jewelery could be worn at any formal occasion. These could be in precious and semi precious metals, but at all costs try and avoid loud, colorful bracelets which may have cartoon characters on them or made with cheap, easily available plastic material or a look which is not classic but more a fad. Sports bracelets should also be avoided. Large dangling charms and other jingling bangles are a strict no-no for formal meetings , or to other occasions where the jingling could cause disturbance such as a book reading session or a Parent teacher meeting. You could however wear these for attending a wedding. 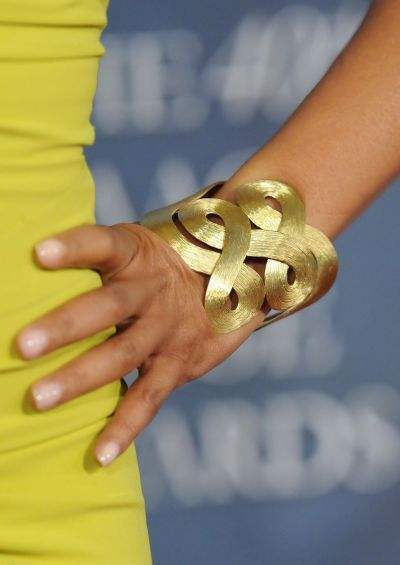 It is ok to try and develop your own signature style at work place, but try and avoid large, chunky and noisy bracelets. Go for single pieces, with dainty chain with small charms or diamond bracelets. Diamond and faux diamond bracelets, bracelets made with precious and semi precious stones are good bet for formal wear. Tennis bracelets which have a single row of diamonds are a must have for formal wear. Try and avoid pieces which are very loud and adopt styles which are just plain bands, or gems and stones interlinked in a single row, as these could be easily teamed with your conservative office wear and could go well with your sari as well. Plain gold and sterling silver bangle (just one would suffice, in medium width of about ¼ to ½ an inch at the most) look good on business suits. You could team these with simple gold/silver ear rings and a matching brooch on the lapel of your jacket. Bracelets made with pearl are also quite popular and could come in various neutral colors which are considered appropriate for wearing on formal occasions. Choose your bracelet wisely and based on the occasion that you plan to wear it to and you will never go wrong!